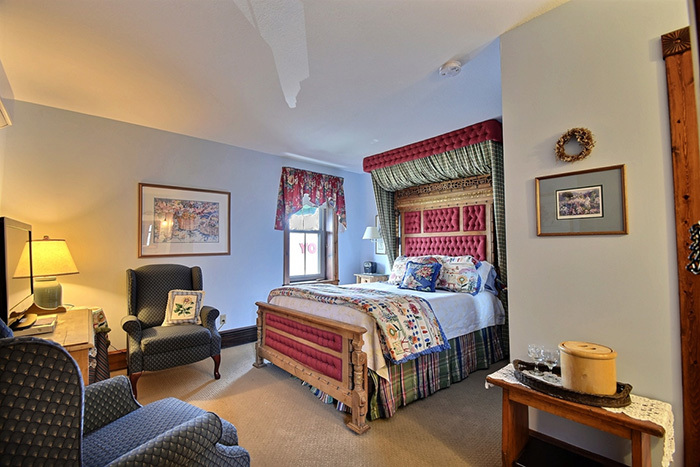 Be immersed in historic reverie when you enter our intricately adorned, vintage suites. 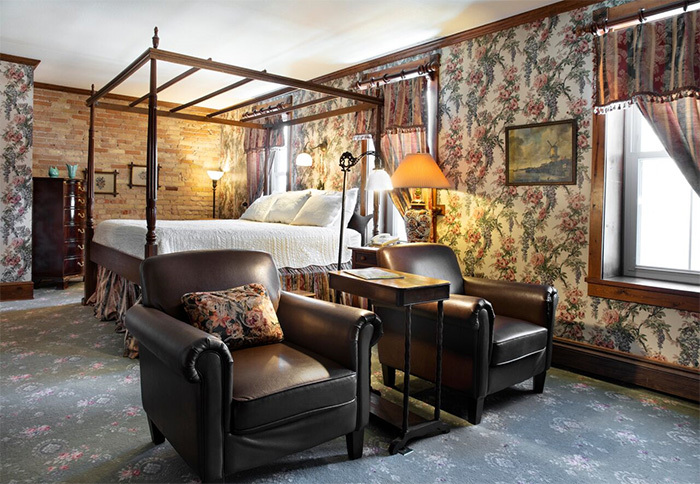 Exposed brick, hand carved beds, antiques and fireplaces nod to the past while modern amenities ensure a comfortable, relaxing stay. Built in 1884 at the corner of bustling Cedar and Cottage Streets (now Third and Louisiana), this brick vernacular style building has seen more than a century of the towns activity and growth. Among its many early occupants were a tailor shop, an apothecary, a soda fountain, doctors offices, and a clothing store. 2019 Rates: Nov-Apr $140-$205; May-Oct $160-$225 peak season. Tuesday-Sunday open 7:30-7pm. Monday 7:30am-3pm..
Today, year-round hospitality and delicious food are our tradition. 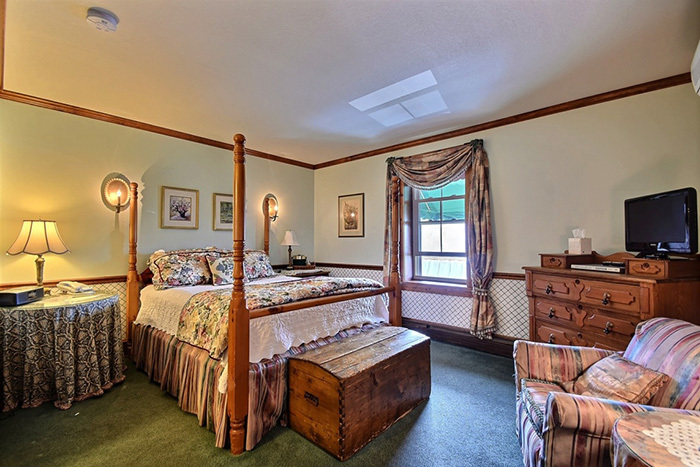 Inn at Cedar Crossing offers the comforts and amenities of a historic inn with all the modern conveniences. The front desk and bakery facing Louisiana Street, is graced by the original pressed tin ceilings. 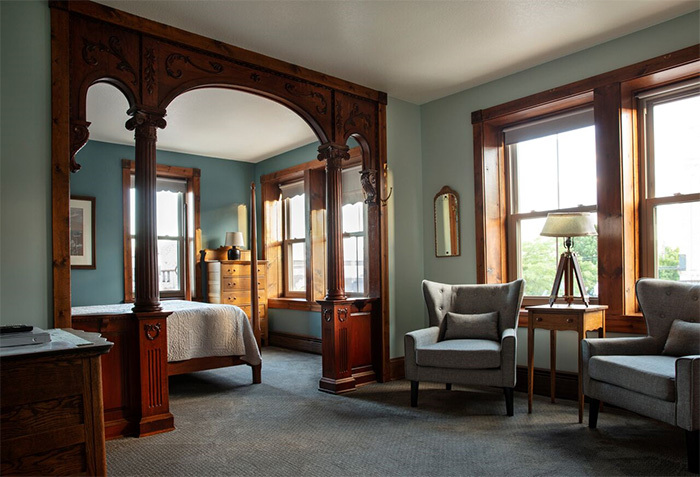 Upstairs, nine elegant guestrooms await your arrival. 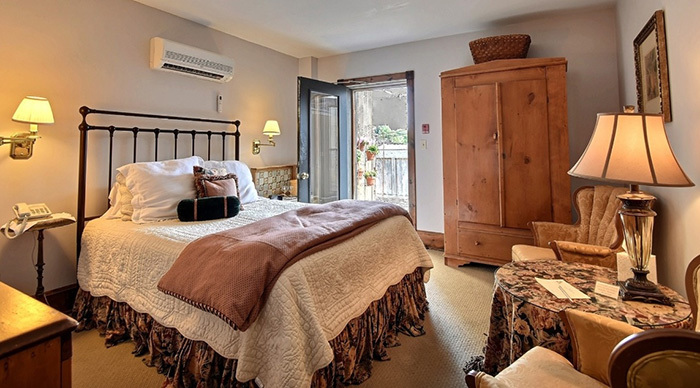 While each room has its own personality, all provide the perfect getaway. Our restaurant and bar has served Door County residents and visitors since 1989, and is known for quality food, creative entrees and attentive service.